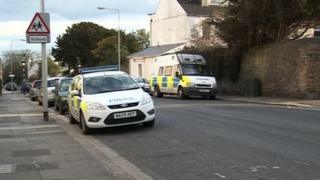 Two detectives have been disciplined over a case in which a man was murdered in Plymouth, the police watchdog said. Keith Dance, 33, was found stabbed and beaten to death in 2013. Jacqueline Cooke, 30, and Ian Gollop, 51, are serving life for his "brutal" murder. Devon and Cornwall Police had been in contact with Mr Dance beforehand and so referred the case to the watchdog. The Independent Police Complaints Commission (IPCC) found various failings by police officers and staff. It said officers had been in contact with Mr Dance before his death in March 2013, including dealing with reports Cooke had assaulted him with a knife four days before his death. They took a statement but the investigation did not progress. In a summary report, the IPCC said Mr Dance's family had raised concerns about an "apparent lack of action by police". It said a call handler made "an error in not recognising the vulnerability of Mr Dance". It also said a detective sergeant and a detective constable "could have been more proactive at locating Ms Cooke" and their "performance fell short of what is expected". The IPCC said the force gave the call handler management advice after a misconduct ruling. The officers had been "dealt with via supervisory interventions to ensure they improve their future performance," it said. Devon and Cornwall Police said they welcomed the findings of the IPCC report. However, the force added: "We believe that Keith Dance's death could not have been prevented by the officers and staff involved. "Ian Gollop and Jacqueline Cooke brutally murdered Mr Dance and there is nothing the force could have put in place to predict or prevent this attack."